(April, 2017) As we enter our 15th year of business. We are excited to announce the rebranding of our websites. Our company was originally founded in 2003 as Gentleman's Emporium Online and focused exclusively on menswear. Based on customer interest, we expanded our online portfolio of websites to include Ladies Emporium, Western Emporium and Steampunk Emporium. Even though we incorporated as Historical Emporium in 2007, we have maintained separate websites and social media accounts for each of these stores. 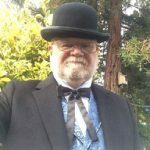 To simplify the shopping experience for our customers, we have merged the Gentleman's, Ladies, Steampunk, and Western Emporium websites into one easy-to-use store called Historical Emporium. 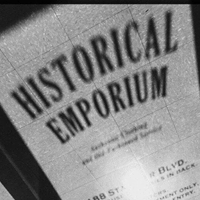 We will still offer the same array of high quality products, great customer service and fast shipping as always, but it will be under the name Historical Emporium. We hope this change will simplify your shopping process and make communication with us easier. Thank you for your patience as we make this transition. If you have any questions or concerns, please contact our Customer Service Department. The Operators were very polite and courteous and helpful. On the downside, the people I talk to we're not into wearing the products t hat they sell. So there experiential knowledge of the product was nonexistent. (I actually received two different answers from two different people, the second one actually went to the shelves to view the product itself. So they were very helpful and I did get the right answer.) The product reviews from customers who actually wear the clothing were very helpful.